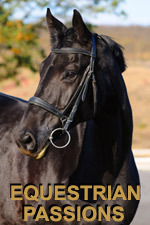 NOTE: Equestrian Passions is one site within the Passions Network Inc., network of sites. "Passions Network" DOES NOT screen members against any criminal database, or use any type of background check system. While attempts are made to prevent spam and scams within the network, no system is foolproof. Please review the ONLINE DATING SAFETY section for information on popular scams. Please note that no online site can protect you from your own decisions and/or actions. If you choose to meet (in person) anyone you have interacted with online, you should ONLY do so in a protected environment, and preferably with a friend. ALSO, THIS SITE IS A PUBLIC SITE AND PROFILES WITHIN IT APPEAR IN PUBLIC SEARCH ENGINES. IF YOU ARE CONCERNED ABOUT ANYTHING IN YOUR PROFILE SHOWING UP IN ANY PUBLIC SEARCH ENGINE (INCLUDING, BUT NOT LIMITED TO YOUR USERNAME), THEN DO NOT JOIN THIS SITE. IF YOU JOIN THIS SITE, YOU ARE ACKNOWLEDGING THE POSSIBILITY OF YOUR PROFILE INFORMATION BECOMING PUBLIC. Equestrian Passions is part of the Passions Network, Inc. ("Passions Network") network of sites, and the service ("Service") provided by this site, and all other sites within the "Passions Network" network of sites, is a way for adults to meet each other online. "Passions Network" allows third-party companies to collect certain information when you visit sites within "Passions Network", including this site, Equestrian Passions. These third-party companies may utilize cookies, pixels or other technologies to collect and use non-personally identifiable information (e.g., hashed identifiers, click stream information, browser type, time and date, subject of advertisements clicked or scrolled over) during your visits to this and other web sites in order to provide advertisements about goods and services likely to be of greater interest to you. To learn more about this behavioral advertising practice or to opt-out of this type of advertising, you can visit the websites of Solve Media, the Digital Advertising Alliance or the Internet Advertising Bureau.